Dhaka, 09 Nov, Abnews: That cola in your fridge is about to get a lot more useful. Out of toilet cleaner? The phosphoric acid in Coca-Cola can take care of buildup. Pour a 12-ounce can of Coke in the bowl and let it sit for 30 minutes. Scrub the sides of your toilet with a brush, then flush for a sparkle on par with what you might expect after using an expensive cleaner. Finally, decide how you feel about the fact that your favorite beverage can defeat bathroom stains. If you ever forget about a can of Coke and leave it open overnight, you don't necessarily need to pour it out. Flat Coke can be a great way to get your compost pile going. The mild acidity of the drink will break down the material in your bin, and the sugar will attract bugs to help take care of the rest. Is corrosion on the battery leaving your car struggling to start? Disconnect the battery cables and then pour a little Coke on the connection points. The soda will eat away the corrosion. Use a brush to remove it, and then rinse the Coke off with a little water. If you have a particularly troublesome oil stain or bloodstain on your clothing, then Coke might be just the thing you need. Pour a can in the washing machine along with your stained duds (yes, we know how strange that sounds), and run it through a cycle just as you normally would. 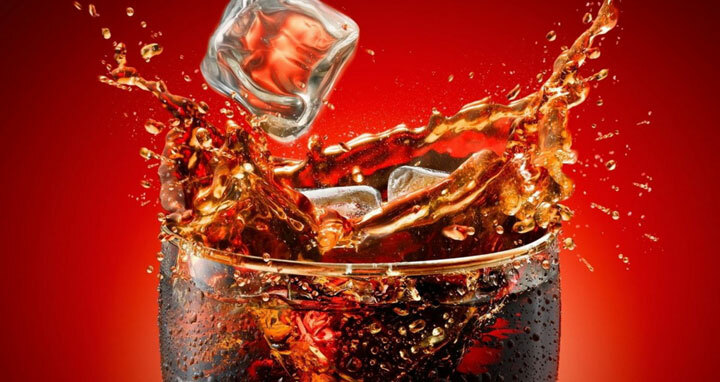 Coke will not only help to remove stubborn stains but also will freshen up your load. Did you pull a Lisa Simpson and get gum stuck in your hair? We won't ask how it happened, but we can tell you how to get rid of it. Soak the gummy portion of your locks in a glass of Coke for 5 minutes. Afterwards the gum should slide out of your hair much more easily. The trick also works for gum stuck on the sole of your shoe or anywhere else. Finally rid your driveway of that obstinate oil stain by pouring some Coke on it. Allow the stain to soak in the soda for a few hours. Then spray it off with a garden hose. Coke can be a quick and dirty way to get rid of grime between your kitchen tiles. Pour some of the soda on troublesome spots and allow it to sit for 5 to 10 minutes. The dirt and stains should come up fairly easily after that—just make sure to mop again with floor cleaner or clean water so you don't end up with a sticky floor. Coke can be used as a marinade for everything from chicken to a nice steak. The beverage tenderizes your meat and gives it a sweet taste. There are a litany of recipes out there that use Coke. Our favorites include this one for steak and this one for teriyaki chicken. Whether you've been stung by a jellyfish or a bumblebee, Coke can quickly become your best friend. Pour a little soda over the sting for instant relief from that painful burning feeling.